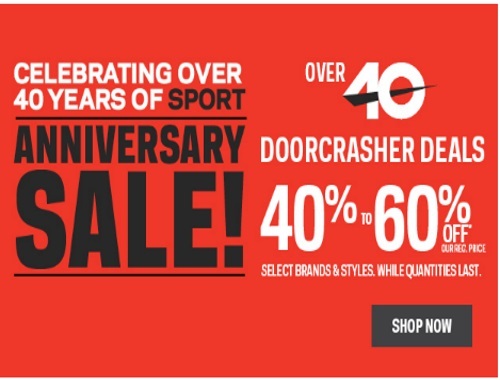 Sportchek is celebrating their 40th Anniversary with a sale! Save 40-60% off Doorcrashers (there are over 40 Doorcrashers!). Get 40-60% off select clothing and winter jackets, minimum 40% off select footwear, and 40-60% off select equipment. Offers are valid October 16-24 2016. Offers on select brands and styles. While quantities last.